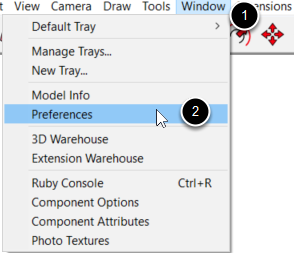 When SketchUp warns you about installing only extensions from trusted sources, click Yes to proceed and install your extension. (This assumes you do, in fact, trust the source of your extension. Locate the RBZ file that you downloaded. It will usually be found in your ‘Downloads’ folder. 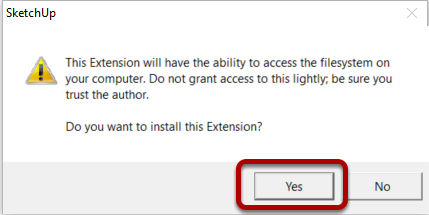 When prompted, choose ‘Yes’ to install the Extension. 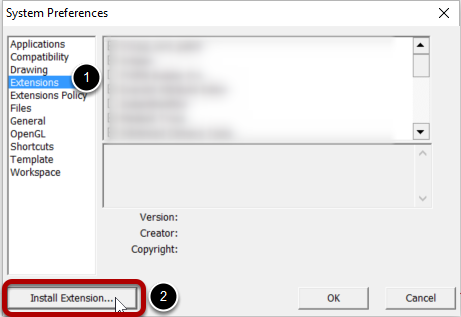 Go to Window->Preferences->Extensions and make sure that the Extension is listed and enabled. 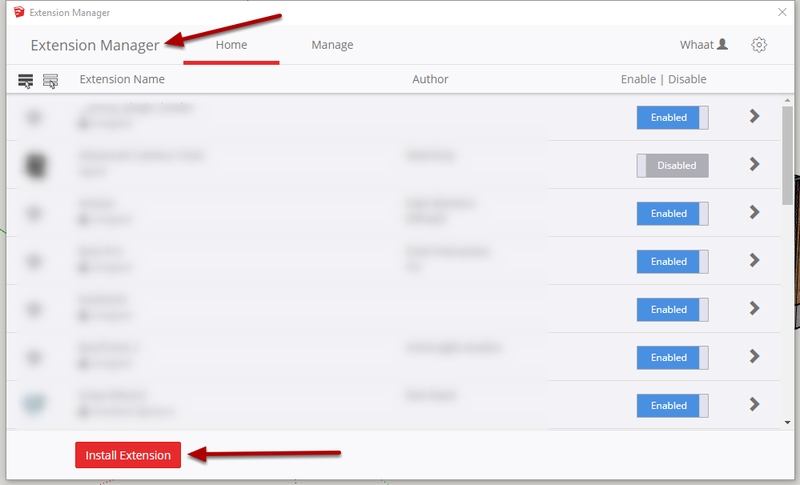 Go to View->Toolbars and make sure that the Extension toolbar is listed in the menu and is enabled.